On our Lake Malawi holidays & packages you will see why this country describes itself as the ‘Warm Heart of Africa’, as its people are so welcoming. Its landscape is defined by the crystal clear waters of Lake Malawi, one of the great freshwater lakes of the Rift Valley. Lake Malawi is the third largest lake in Africa and laps the shores of Mozambique to the east and Tanzania to the north. Visiting this huge inland sea of over 11,000 square miles is a magical experience on Lake Malawi holidays & packages to Likoma Island. Dubbed the ‘Lake of Stars’ by Livingstone, due to the many fishermen’s lanterns seen at night, Lake Malawi is the journey’s end for most visitors to the country. It holds more variety of aquarium fish species than any other body of water on earth, and is dotted with tiny islands and pristine beaches. Seasoned travellers are increasingly extending their Lake Malawi holidays to include the verdant tea estates of Mount Mulanje in the south and a safari to see the wildlife of Liwonde National Park and Majete Wildlife Reserve. It is just a short hop by small aircraft from Zambia’s South Luangwa to Lake Malawi and this safari and beach combination has long been popular. Also consider adding a visit to the magnificent Victoria Falls for a truly special trip. 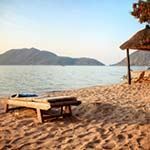 Selling Lake Malawi holidays & packages for over 15 years. 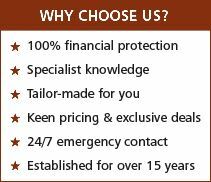 ALL OUR LAKE MALAWI HOLIDAYS & PACKAGES TO LIKOMA ISLAND AND SAFARI TO LIWONDE OR MAJETE ARE FINANCIALLY PROTECTED wherever in the world you live. 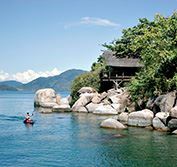 Defined by crystal clear Lake Malawi, this long and thin land-locked country offers visitors an outstanding freshwater beach experience, on Lake Malawi holidays & packages to Likoma Island. This makes it the ideal complement to a safari in South Luangwa National Park in neighbouring Zambia or in one of its own vastly improved wildlife reserves - especially Liwonde National Park or Majete Wildlife Reserve. Originally named Lake Nyasa by David Livingstone, on Lake Malawi holidays & packages to Likoma Island visitors can choose from a selection of castaway boutique accommodation, ranging from eco lodges with hot water bucket showers to luxury villa-style properties with infinity pools and superb dining options. Most properties have wonderful lake views and guests can enjoy many water-based activities, typically including snorkelling, diving, kayaking, sailing, fishing and sunset cruises. On Lake Malawi holidays & packages, some of the best fresh water diving and snorkelling is found at Mumbo Island towards the southwest of the lake. 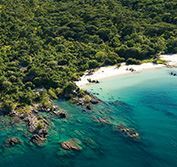 In Mozambican waters, but belonging to Malawi, Likoma Island is the largest of Lake Malawi’s inhabited islands and here you can visit the surprisingly grand Anglican St Peter’s Cathedral, built by missionaries following in the footsteps of David Livingstone. An exclusive beach lodge is also located on the north-eastern Mozambican shore of the lake and is easier to reach from Malawi. Ideal for those seeking the ultimate in luxurious seclusion, the lakeside setting here is exquisite, with stunning white sandy beaches and virgin wilderness backdrop. There is also a sleep-out option here on Lake Malawi holidays & packages to Likoma Island. 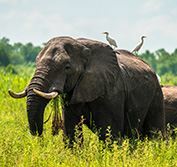 Malawi’s most popular safari reserve, Liwonde National Park, is located on the east bank of the upper reaches of the Shire River, between Lake Malawi and the commercial hub of Blantyre. The Shire Valley forms the southern end of Africa’s Great Rift Valley and safari game viewing here centres on the river, where visitors should get good sightings of impala, kudu, waterbuck and other species of antelope, as well as elephant, buffalo and hippo. Bird watching is also outstanding and, as there are no lions in Liwonde, visitors can opt for a walking safari, bike ride or canoe trip along the river on all Lake Malawi holidays & packages to Likoma Island. About four hours drive south of Liwonde, Majete Wildlife Reserve is a virtually undiscovered safari game reserve in the Lower Shire Valley. Majete is one of Africa’s huge conservation success stories, as large mammals have been successfully re-introduced in recent years. 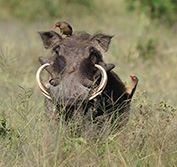 On Lake Malawi safari holidays you can hope to see elephant, black rhino, leopard, buffalo, zebra, sable antelope, hartebeest, suni and eland, as well as many other smaller species. Lion have also recently been re-introduced to Majete, making it a big-five safari reserve once again. The tea estates of the fertile Thyolo region in the far south of the country are found in the foothills of Mount Mulanje, Malawi’s highest mountain peak, and provide an interesting stop on an in-depth tour of the country. On Lake Malawi holidays this area is a scenic wonderland of rivers, rolling hills, woodlands and forests. The diversity and accessibility of different habitats, including residual montane rainforest in the south, makes Malawi a paradise for birdwatchers with around 650 recorded species. Notable species in Liwonde and the Shire Valley include Mottled spinetail, Livingstone’s flycatcher and Bohm’s bee-eater. The endangered chat, Thyolo alethe, can be spotted in the Mount Mulanje and Thyolo regions on Malawi holidays. Beautiful Zomba Plateau and the Nyika Plateau are situated high in the mountains, with breathtaking views. Experience wild Zambia with a safari along the meandering oxbow lakes of South Luangwa, with game viewing by 4x4 or on foot. Fly to Lake Malawi, discovered by the great explorer David Livingstone, who aptly name it the Lake of Stars". This World Heritage site with its clear waters is teeming with tropical fish, perfect for snorkelling. Light aircraft flights, all game drives & transfers included. This wonderful Lake Malawi self drive holiday & vacation starts in Blantyre & travels to the tea plantations of Thyolo in the foothills of Mount Mulanje & the Zomba Plateau, before continuing to Liwonde National Park on the Shire River for an exciting safari. Finish your holiday relaxing on the shores of Lake Malawi, where you can swim, snorkel, canoe and sail in crystal clear waters. Combining two sides of the Lake of Stars, this luxury fly-in holiday visits both Mozambique & Malawi. Stay at Nkwichi Lodge where you can sleep out under the stars & luxurious Kaya Maya on Likoma Island. Enjoy swimming & snorkelling in crystal clear waters among aquarium fish & sailing on an Arab dhow. 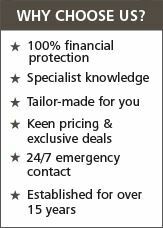 Light aircraft flights & all transfers included. Our Lake Malawi safari holidays allow you to explore at your own pace, travelling with your own private guide. From Blantyre visit the Tea plantations of Thyolo, before driving to the magnificent Zomba Plateau. Continue to Liwonde Park on the Shire River, with game viewing by boat & on land, before relaxing on the shores of spectacular Lake Malawi. English speaking guide, transfers & all game drives included. Robin Pope is renowned for walking safaris in Southern Africa. This holiday starts at the Victoria Falls, before experiencing on foot the wonders of South Luangwa, known for its diversity of game viewing & bird life. Continue to the crystal clear waters of the "Lake of Stars" in Malawi to enjoy outstanding snorkelling & canoeing. Light aircraft flights, all game drives & transfers included. Visit 8 different countries, as you journey from Kenya to South Africa on this overland tour that stays in rest camps. 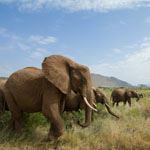 View wildlife in the Serengeti in Tanzania & visit Zanzibar, Lake Malawi, Zambia, Zimbabwe, Namibia & Botswana. See the Victoria Falls & Okavango Delta, travelling in a rugged overland truck, with activity package included. Regular departures in both directions. Group size 4 to 18.